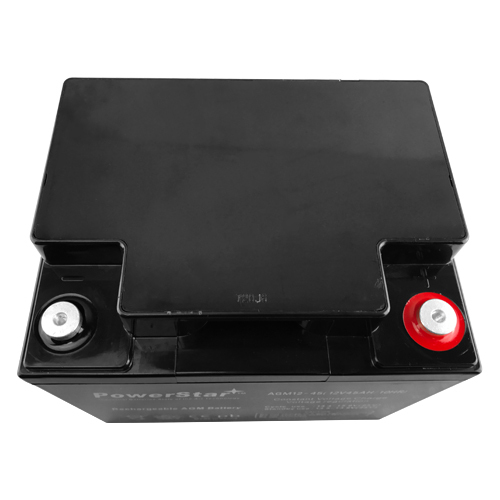 Fits and replaces: PowerStar Amigo, Scooters, Sports, B&B Battery BP4012, Batteries Plus XP1244, Calcy International BP4012, Cash Register Specialists BTP880, Clockmate Batteries PSLA1240, CSB Battery GP3812, CSB Battery GPL12440, Datascope 90 INTRA AORTA BALLOON PUMP, Dynacell WP4012, Eagle Picher Batteries SPRINTER P12V1220, GS Battery PE12400A, GS Battery PE12V38, GS Battery PE12V40, GS Battery PE12V40A, GS Battery PE12V40AB2, GS Battery PE3812, GS Battery PE4012, GS Battery PX12420, Hitachi HP3812, Hubbell 702837, Hubbell HP12190, Hubbell IMF12190, Interstate Batteries ASLA1161, Jolt Batteries SA12400, Kung Long WP4512, Kung Long WP5012, Lintronics MX12400, Lintronics NP3812, MK Battery M4012SLDG, Newark 44F7554, Newark NP3812, Newmax FNC12400, Newmax FNC12400F, North Supply 782071, Panasonic LCL12V38P, Panasonic LCR12V389, Panasonic NP2812, Power Battery PM1238, Powermate PM12400, Powersonic PS12400, Powertron PE12V40AB2, R&D 5545, SBC S12400, SBS S12400, Sonnenschein 153302002, Sonnenschein A21236, Sonnenschein A21236A, Sonnenschein A21236G6, Sonnenschein A21240A, Sonnenschein CR1244, Sonnenschein G24012, Sonnenschein GLC240, Stryker 19901, Sunnyway SW12400, Sunnyway SW12400L, Sunnyway SW12440, Telesys DB1240, Tempest TR4512, Topin TP1240B, Toshiba NP3812, Toshiba SATELLITE 1100 15KVA, Tripplite Batteries BC675, Tripplite Batteries BC740, Tripplite Batteries BC750, Tripplite Batteries BC750A, Union Battery MX12400, Union Battery UB12400, Yuasa ES3812, Yuasa ES4012, Yuasa NP3812, Yuasa NP3824, Yuasa NP4012, NP2412, SLA12400." 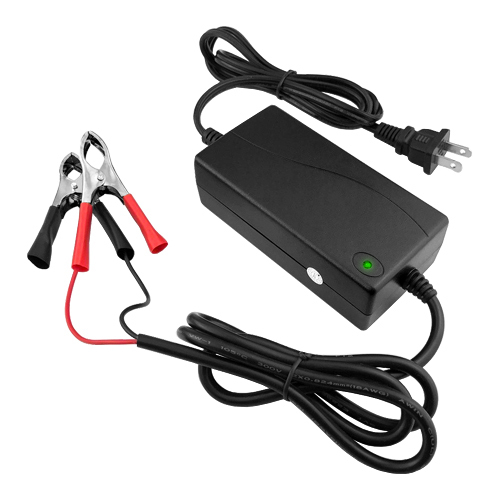 A) True sealed and maintenance-free design, you'll never have to check or add electrolyte again, unlike conventional batteries which require periodic fluid checks. B) Liquid-free AGM design, will not leak or corrode on expensive paint and chrome, and also eliminates corrosion around the battery terminals. 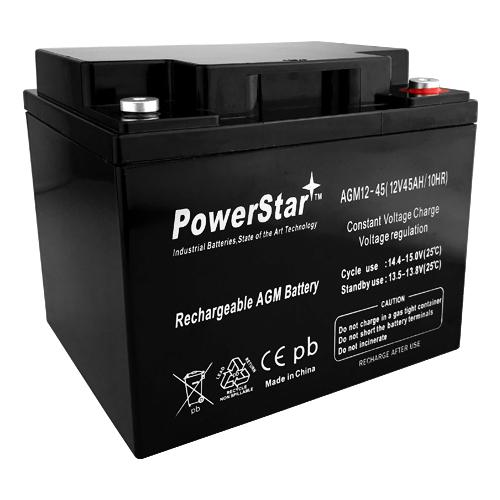 C) AGM batteries have less internal resistance which allows them to produce more discharge current (cold cranking amperage) vs. comparable conventional "wet" batteries, and AGM batteries also recharge faster. 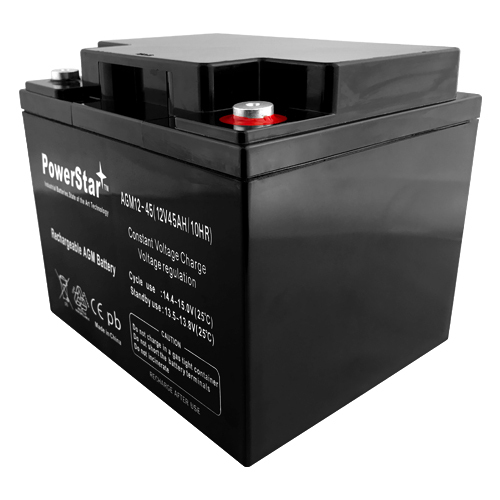 D) Better resistance to both heat and vibration, a major cause of failure in conventional motorcycle batteries. E) Much slower self-discharge rate, (3% vs.15% per month) means longer periods between battery recharging over periods of non-use, like winter months or vacations.